One of the primary objectives of these voluntours is to generate revenues in support of our low-income student volunteers. Will you apply for a matching gift in support of our programs? A matching gift will reduce any of the Morro Bay/Hearst Castle packages by $100. 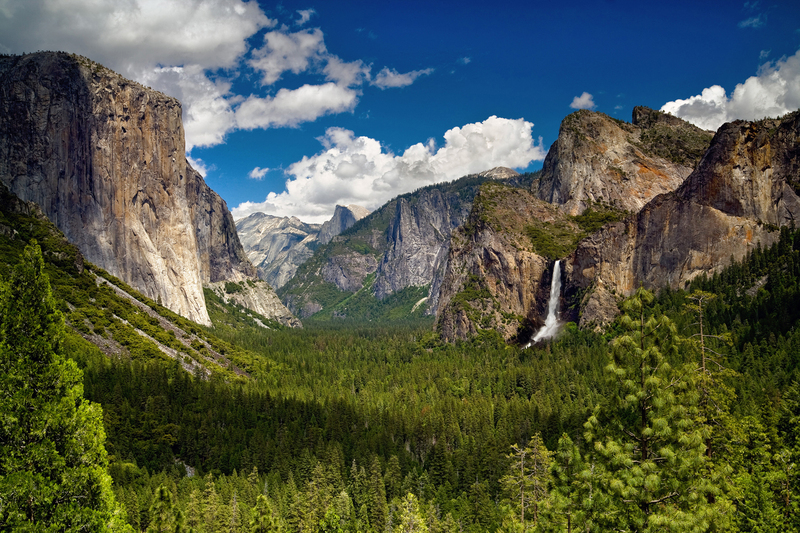 $195/person matching gift will reduce the Yosemite and Sequoia outings by $100 from $295 to $195, a $100 per person savings. IMPORTANT NOTE: These respective contributions will be added to the package prices if an email notification of your matching gift application is not received within 14 days of this registration date. All that is required to receive the reduced rate is an email notification from your employer or your company’s online giving platform verifying that you have applied for the matching gift. We will then process your credit card without the additional contributions. If you would like to make a contribution in addition to your employer’s matching gift, please indicate the amount in the Comments Box below. Nature Corps is a 501(c)(3) nonprofit organization (EIN: 95-3763886). Please contact us if you have questions or need assistance in applying for a matching gift. One of the objectives of these voluntours is to generate revenues in support of our low-income student volunteers. If a matching gift cannot be provided, please consider making a $75/person contribution. All contributions are tax-deductible and will be used to support our student volunteers. Thank you for your donation! Yes, I would like to make a contribution in support of Nature Corps’ student volunteers. No, I would not like to make a contribution at this time. 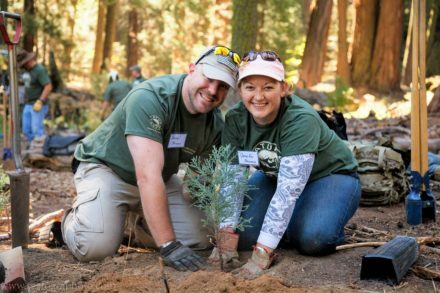 Veterans: There is no cost to participate in the Sequoia Veterans Marriage Retreat. However, a $150 reservation fee will be placed on your credit card to reserve spots for you and your spouse. The entire deposit will be refunded immediately after your attendance at the retreat. If you and your spouse do not attend, the deposit will be retained as a donation to cover the cost of implementing the retreat. Please note that guests that are not immediate family members must complete a separate online registration. After you have submitted the application, we will send you a confirmation email with a link to Welcome Packets with maps and information to help you prepare for your volunteer vacation. Thank you for taking part in this important campaign to preserve the incomparable beauty of our National and State Parks. If you have any questions, please do not hesitate to e-mail or contact us at (800) 774-PARK. Feel free to contact The Nature Corps with any questions you may have. If you would like more information and dates of our volunteer vacations, please e-mail us at info@thenaturecorps.org or call (800) 774-PARK (7275).